Consistent, supportive employment is a key component to the mental health recovery process at Tasks Unlimited. Through Tasks Unlimited Building Services, program participants perform janitorial services, mailroom management and building maintenance to businesses throughout the Twin Cities. Nothing bolsters self-esteem like having a meaningful role in your world. And, self esteem broadens one’s vision of what is truly achievable in life. 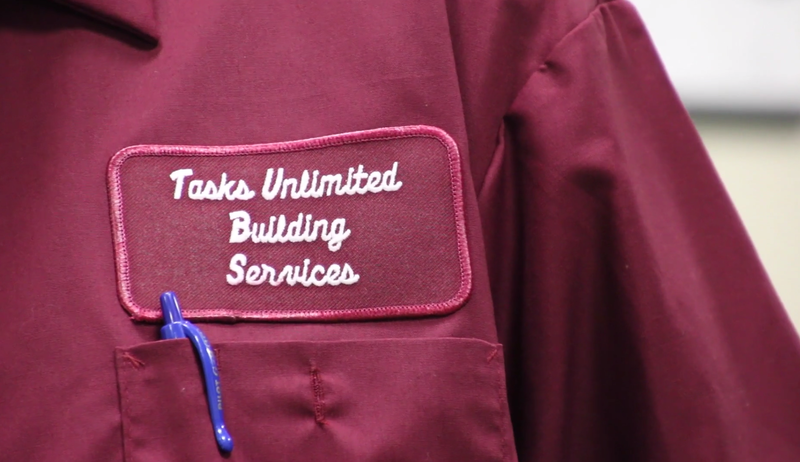 Tasks Unlimited Building Services provides award-winning janitorial service, mailroom support, remodeling assistance and outdoor maintenance to federal, state and county agencies as well as private businesses. In addition to supported employment and housing services, Tasks Unlimited offers a variety of additional benefits to support program participants. Did you know April is National Minority Health Month? This year’s theme is Active & Healthy and we’re encouraging individuals to work physical activity into their daily lives. An active and healthy lifestyle can help reduce the risk of high blood pressure, type 2 diabetes and other chronic diseases. We are pleased that all Tasks clients are able to participate in our Wellness and Recreation program, where our Wellness Counselor offers everything from nutrition management, meditation and yoga exercises to stretching and walking techniques. How will you be Active & Healthy this month? Help us congratulate Jamie for graduating last week from our Jobs Training Program! April is Alcohol Awareness Month (AAM), which was originally established to reduce the stigma often associated with alcohol addiction. This month, we plan on raising awareness on the dangers of alcohol addiction and where to seek help. 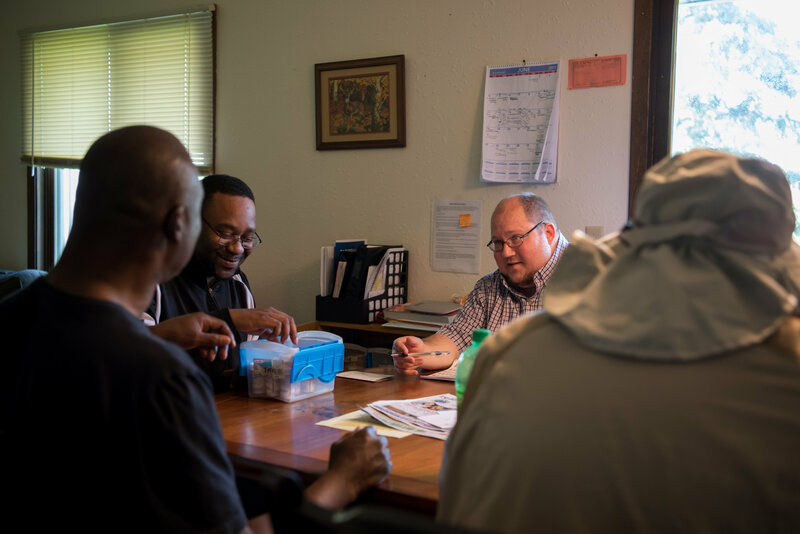 Did you know Tasks Unlimited provides education and support for individuals struggling with substance use issues as part of our mental health and vocational programs? We are pleased to share that Lodge residents have officially moved into a newly-remodeled duplex, thanks to the kindness of Aroha Philanthropies. Upon entrance, residents see “Judith House” proudly displayed to commemorate Judith and to thank Aroha for their generosity. Congratulations to Steven for graduating this week from our Jobs Training Program! Now that he has graduated from training, Steven will be working at a graduate site, HSB, where he will work part-time as a janitor with a full benefits package. 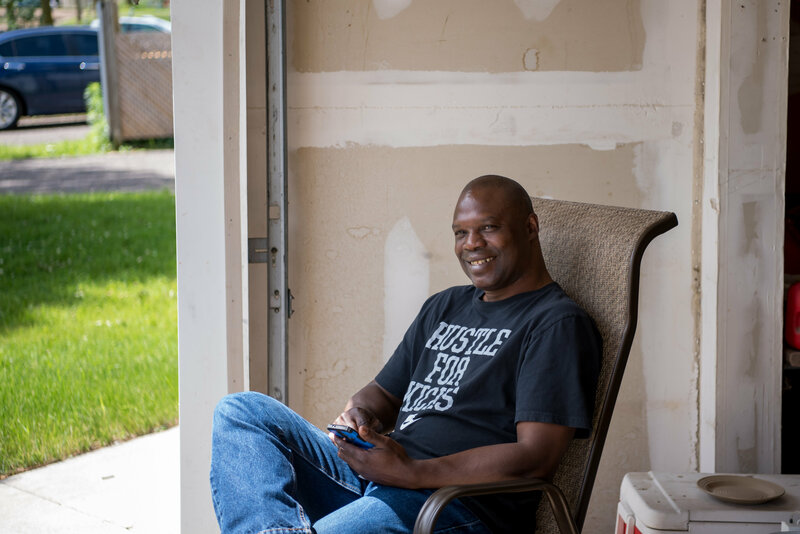 Steven received all of the necessary work skills and professional development through our JTP program, including mental health management and daily living skills. Find these pictures in our 2019 Winter newsletter! Tasks Unlimited&comma; Inc&period; Tasks Unlimited, Inc. updated their cover photo. Read about our Jobs Training Program, its graduates, and other Tasks' award recipients in our Winter 2019 Newsletter. Tasks Unlimited&comma; Inc&period; Tasks Unlimited, Inc. updated their profile picture. Doesn’t that look delicious? Head over to The Lowbrow located at 4244 Nicollet Ave in Minneapolis from 4PM – 9PM TODAY and eat some amazing food like this AND support Tasks Unlimited at the same time! You eat and The Lowbrow donates 10% of your bill to us—including take out orders. Check out their fantastic menu http://thelowbrowmpls.com/menu/dinner/!